A place swarming with women and double the amount of gossip flying around, it’s hard to beat the chatpata-ness that Rajouri Garden main market has! Yet, the Moth Kachori Bhaiya (as the crowd likes to call him) does a remarkable job at satiating our hunger with a tangy and spicy offering. Intrigued? Read on! This famous Moth Kachori stall stands in front of the W showroom every day and has been there for about 6 years now. 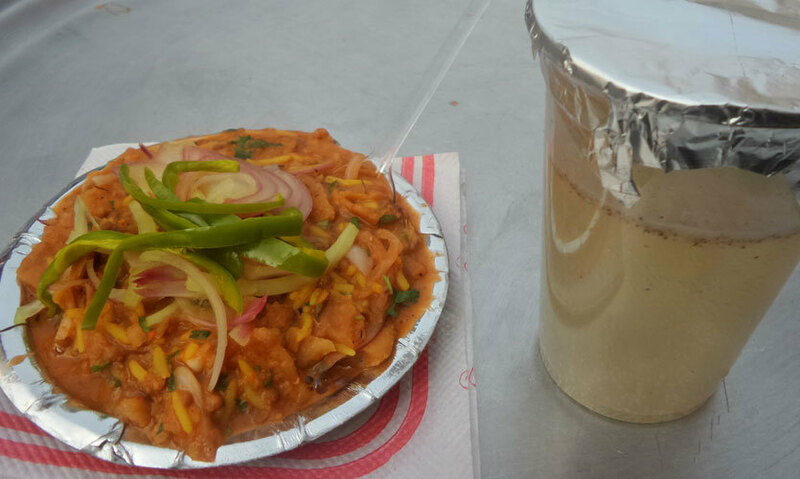 At every possible time during the day, you can see a flock of people surrounding the stall chit-chatting their hearts out while enjoying the taste of chaat and Nimbu Lemon. A plate of Moth Kachori will cost you 30 bucks and you get to taste it with an onion-and-peppers pickle that kicks the taste factor many notches high. The crispness of the kachori compliments the texture of piping hot daal very well giving us the perfect crowd favourite. During a lively chat with him, he said he prepares the daal, chawal and kachoris fresh every single morning and never in the history of him being there, has someone been able to complain about the freshness of his food! He gets all the ingredients delivered to his house every night and makes sure everything stays as healthy and clean as it can. 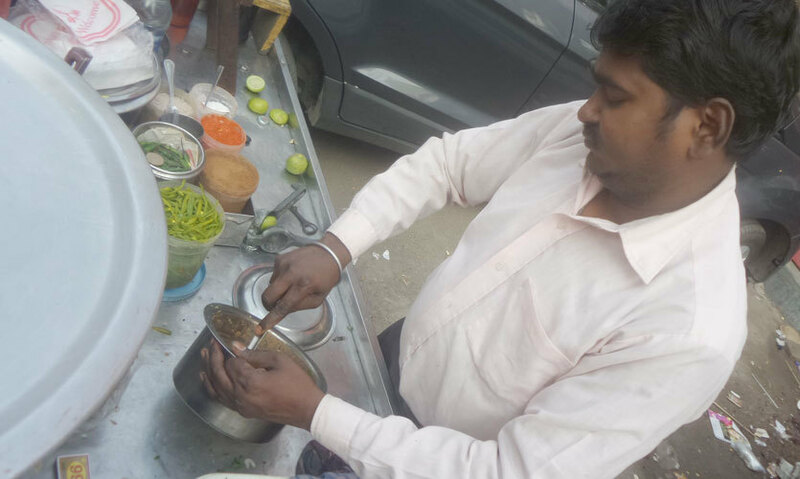 Never have we seen a thela-wala so concerned about the quality of the food he serves! He also offers a lil something called Nimbu Lemon, which goes really well with the chaat. In the summers, you can also sample the rainbow-y Burf Ka Gola to take you back to your childhood, leaving memories in your heart and colour on your tongue! Rajouri Garden really is a shopper’s paradise with a wide variety of apparel and shoe shops befitting every occasion. Especially for the bridal entourages, this is a must-visit spot. With the sale season in full swing, you get great deals at almost every shop as the prices are slashed up to 50% - awesome! The stall caters to everyone’s need for a light yet tasty snack that can be enjoyed while hunting for your next favourite pair of mojris. Catch a bite on your next stroll!